Functional and Dysfunctional Sexual Behavior explores the full consequences of the dissociation between sexual behaviors and reproduction. Among the themes covered is the difference between the stereotyped sexual behaviors in non-human mammals and the astounding variety of human sexual behaviors. The role of learning in shaping sexual behaviors is explained, and it is shown how particular sexual experiences may be at the origin of common human sexual dysfunctions. 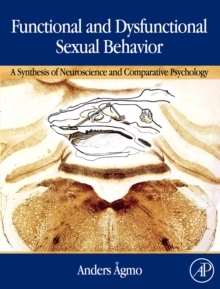 Chapters on sexual incentives and a summary of the endocrine and central nervous control of sexual behaviors are included.